Buy both Mind of Steel: Pool audio files and save! 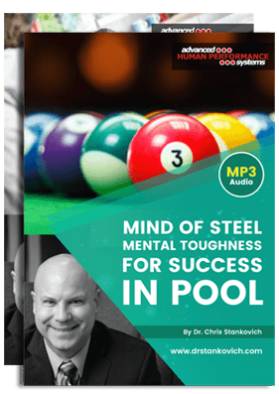 Mind of Steel: Mental Toughness for Success in Pool: Want to immediately improve your pool game today – by as much as 25-50%? Would you like to run more balls, miss fewer shots, and ultimately win more games? Learn how to play pool like a champion by using the same sport psychology mental training skills professional and world class athletes use. Dr. Christopher Stankovich, national expert in the field of sport psychology, will help you improve your confidence by learning the art of arousal control, developing self-confidence through strategic pre-game and pre-shot routines, use imagery for improved shooting, refine your focus until its pinpoint, and minimize “choking” by overcoming your fears and weaknesses! Mind of Steel: Mental Toughness for Success in Pool Guided Imagery Want to strengthen your brain neurons and improve your muscle memory for more automatic, precise, successful shots when playing pool? 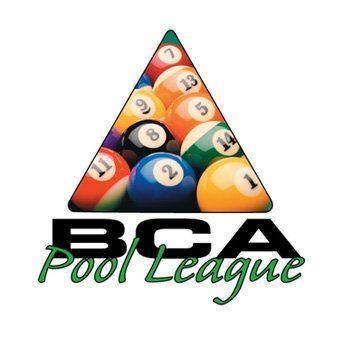 If so, check out Dr. Stankovich’s guided imagery for pool players. By spending just a few minutes going through this guided imagery experience every day, you will soon begin to crystallize your subconscious mind, resulting in more “automatic” muscle-memory shots, increased self-confidence, less “choking” and anxiety, and greater success in every aspect of the game!